The short-lived/dead before arrival N9 was praised for its design. Some even went as far as calling it the most beautiful smartphone ever. I agree. The design and casing from the N9 has been reused and that is no bad thing. The elegant curves disguise the chunky (by modern standards) 12.1mm frame and the mass of 142g sits nicely in the hand. The single core 1.4GHz processor will carry out tasks very quickly and 512MB RAM should allow for efficient multitasking. To allow for the Windows capacitive keys, the screen has been downsized from the N9’s 3.9 inch 854 x 480 display to a 3.7 inch 800 x 480 curved ClearBlack AMOLED panel. An 8MP camera with standard Nokia Carl Zeiss optics, but the strangely placed front camera from the N9 has been omitted. We have covered the brilliance of Windows Phone 7.5, aka Mango, in our review and, paired with such stunning hardware both inside and out, it is sure to be a winner when it launches over here on November 16th, one day before the Galaxy Nexus. The pricing of this new phone is great too. It will be €420 + tax unlocked and SIM free or subsidised on 31 carriers worldwide. All available contracts in the UK can be found here, with Vodafone, Orange and my favourite network 3 all carrying the phone. By far the best plan for the Lumia 800 is The One Plan from 3. For £33 per month, this agreement will give you 500 minutes, 5000 texts and unlimited data. There is no upfront cost for the handset on this plan and it is their cheapest plan to give unlimited data, a necessity that, for some odd reason, is only available on 3. Vodafone and Orange max out at between 500 and 750MB. I have found 3’s network to be brilliant 90% of the time with constant HSDPA coverage in urban areas, relying on 2G from Orange and T-Mobile in more rural areas such as where I live. With an unlimited plan, I would tether perpetually and use Spotify and Zune for all of my musical needs. When Microsoft finally get into gear and release a Skype app for WP7, life would be complete. Inclusive minutes and texts would be irrelevant with options that make the most of the 3G connection. Unlimited data FTW. 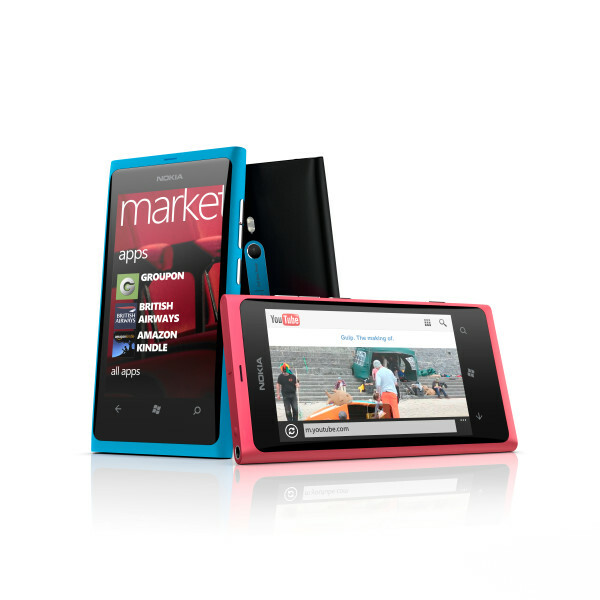 The ‘more affordable’ Lumia 710 should hit British shores in Q1 2012. Elop announced a €270 price tag for the handset before tax. The phone has the same 3.7 inch 800 x 480 ClearBlack AMOLED, 1.4GHz Snapdragon CPU and 1GB RAM as the flagship 800, but, for that lower price tag, you do surrender a couple of things. Firstly, the camera unit. There is no front camera as with the 800, despite Mango supporting video calling apps such as Tango and (hopefully) Skype. The rear shooter maxes out at 5MP and lacks the juicy Carl Zeiss optics that premium Nokia handsets hold dear. We have seen the fantastic 12MP camera in the N8 and it makes you wonder why this sensor didn’t make it into the N9 or the Lumia 800 as the flagship devices. The iPhone 4S is selling more than the 4 purely because you can talk to iy and it has a fantastic camera, so the use of that larger sensor in either new device could provide a major selling point for Nokia. The same cannot sadly be said for the 710. It is a great price for such specs, but if you are planning on picking one up then make sure you fish around under the cushions for an extra bit of cash to splash on the 800. As Microsoft’s Ben Rudolph (@BenThePCGuy) said, the extra cash is worth it just for that design. But not in bright pink. He’s wrong there. As promised, the advertising campaign is massive. This is unsurprising as both Microsoft and Nokia are depending on these devices to propel their smartphone operations forward. Watching various British TV channels, I saw teasers from the Saturday before Nokia World until ExCeL opened its doors and the finished adverts have been showing twice per ad break ever since Elop left the stage. The soundtrack to the ‘unprecedented’ ad campaign is the electronic-housey-dancey-wonder that is Garden by Totally Enormous Extinct Dinosaurs. As I write this, the song has climbed to 132 on iTunes, showing the power of advertising and Shazam in this day and age. Apple and TEED got 79p out of me because of Nokia’s amazing handset and I think Nokia will be getting my money too. Have a look at the video for the song below. The advertising is infectious, and Nokia promised that the campaign would be a full-on viral attack. We heard that a German bus shelter had been transformed into a sauna. We heard that DJs will perform sets on the pavement. We heard that Nokia and Microsoft will force poor out-of-work marketing people to dress up as the signature WP7 live tiles and run through traffic. The tagline for all of this is ‘The Amazing Everyday’ and gangster ironing apparently fits in with all of this. See the TV ad, currently with over 200,000 hits on YouTube, below. Windows Phone 7 offers something unique that needs more exposure. The Lumia phones will give that exposure to the OS and there is one great reason for that, above all the technical stuff and advertising. Next Post → The Poll: What is the best smartphone at the moment? You cannot “rejuvenate” anything unless they make better hardware!!! Those tiny screens are not going to sell!!! They need bigger screens: 4.5″ high resolution SuperAMOLED+. A better Processor: 1.5 Ghz Dual Core MSM8260. An FFC. and T-Mobile 42Mbps 4G network would be great! Some people don’t want to hold a massive slab up to their ears. For those who do and want a Windows Phone then the HTC Titan should suit them. The current uniform 800 x 480 resolution is to make app development easier and, like the use of the same chipsets, avoids fragmentation. Microsoft will increase the resolutions in time and ‘4G’ and dual/quad core chips will come along whenever they are more battery friendly. No Chris. It’s all about the 4.7 inch Samsung Galaxy S II HD LTE that’s only available in Soutg Korea. Or the Sprint variant in the USA that is underwhelmingly named the Samsung Galaxy S II Epic 4G Touch. Needs more epicosity. Windows phone could double it’s market share with this. To almost three percent. The only spec where this phone matches the suite of new Android phones is the camera. Apparently mango is hard to demonstrate because it’s so different. Guess we’ll see. But what’s compelling? The pink? No. The pink is horrible. I use Android on a daily basis and have grown to hate it over the past few months. I have tried Mango out on one of the last-generation HTC handsets and it was absolutely fantastic. 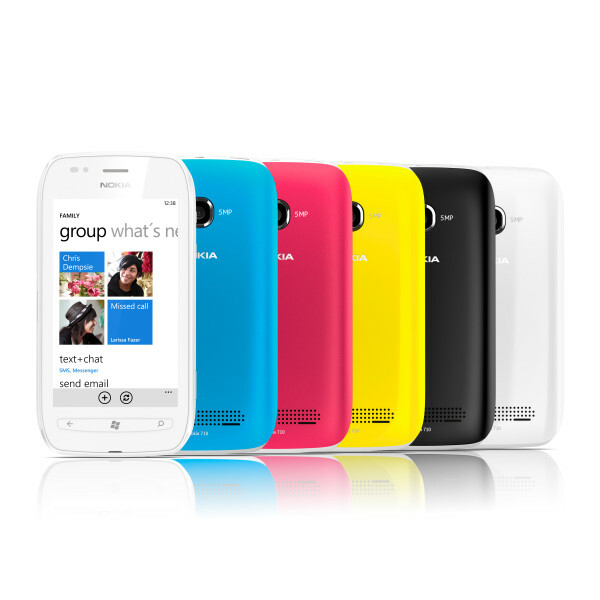 When they are released, I definitely think that you should give a Lumia a go in a retail store. Try out some of the features of Mango (or read our review) and give it a chance. If more people did then the Android market share would shrink and Microsoft would head towards the top.